The Hangover Part 3: It all ends. Alan is convinced that checking himself into an institution will be the best course of action. The wolf pack gets together to support Alan in his decision but before they get to their destination they are run off the road by a large vehicle and taken to a secluded area. The story is spun in a different direction and although this movie is a departure from the first two movies I truly thought they did a great job. Ken Jeong and John Goodman are both excellent in this movie. I thought the movie was well done with twist turns and of course a bunch of laughs. Do yourself a favour, when the credits start to roll do not leave the theater about one minute into the credits, they give you a bit more. Well done Todd Phllips. 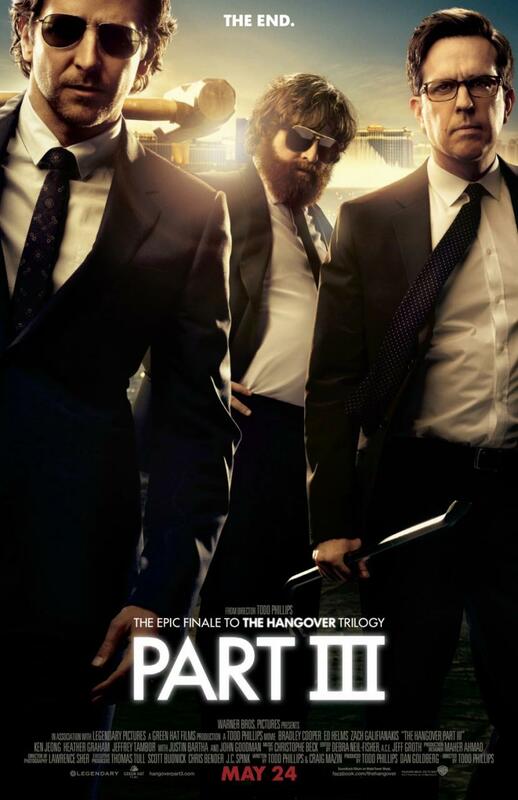 If you liked this try: Hangover 1 or 2, Bachelor Party, The Party.